Home » Is Gold Behaving Like it Did Prior to the 2007-08 Crash? Since the beginning of the year, gold has been on a tear. Not only has it outperformed many other investment classes, but just this week, it breached $1,300 per ounce. That price is over 20% higher from where it began 2016. On the technical charts, gold has broken out of its long-term downtrend, signifying a change in market mentality. Traders tend to ride the momentum of the wave. And with that wave now trending up, we can expect many to go long on the precious metal. 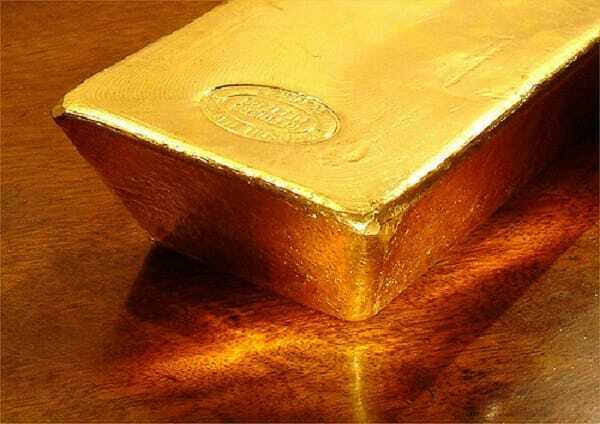 Already, nations like China and Russia have been hoarding as much gold as they can, with some suspecting that they will use the precious metal to either back their currency or use it as part of trade settlement. And now many financial experts are predicting much higher gold prices in the future — even higher than the metal’s all-time high in 2011 of just over $1,900. Billionaire investor Stanley Druckenmiller told Americans this week to get out of the stock market and into gold. The legendary investor cited many of the reasons we have listed below, including a fear that the stock market is in a bubble. Many other prominent investors, such as Robert Kiyosaki, share this fear. As economies around the world continue to falter, central banks are continually lowering rates (even into negative territory) and injecting money into the economy. With no other solutions in sight, it’s only a matter of time before central banks run out of tools to keep their debt Ponzi scheme alive. Here are just a few of the governments going broke: Venezuela, Puerto Rico, Greece, Spain, Portugal, Cypress… this is just the tip of the iceberg of what’s likely to come around the globe. The United States itself is also broke, but for now, it can paper over its debt due to the fact that it prints the world’s reserve currency. But what if the dollar lost world reserve status? The push to go paperless can be seen around the world. Not too long ago, one government official went so far as to suggest that they’d “kill the dollar”. So, if they have no problem throwing the average citizen under the bus in order to save themselves, why would you hold their fiat currency? Gold meets all the definitions of sound money and hence will likely return to its traditional role as a monetary metal. Senator Ron Paul once asked Federal Reserve chairman Ben Bernanke if gold is money. Helicopter Ben replied that it was not money, instead just a tradition. Who is he kidding?! China and Russia certainly value the metal; their central banks have been accumulating as much of it as they can. Did you ever ask yourself why? Iran has been settling trade with gold in order to get around sanctions. As nations continue to move away from the dollar, they will look for bilateral trade agreements and settlement in commodities such as gold. In the near term, we may see the uptrend in gold prices continue, with Dennis Gartman predicting they will reach $1,500. But more importantly, in the long run, the case for gold is very strong. This is why many big players like China, Russia and even investors like Druckenmiller are going for gold. It’s time that you too consider adding gold or silver to your savings. The writing is on the wall; don’t wait any longer and give us a call. We can help you protect your nest egg. You can also request for a free information kit here. Gold is really breaking out, is it just warming up? Read here.